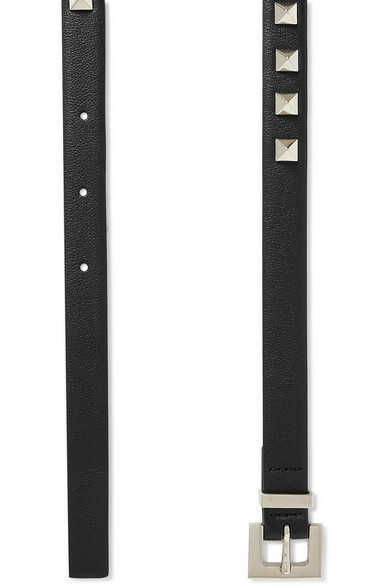 Valentino Garavani's slim belt has been made in Italy from smooth leather and topped with the label's signature 'Rockstuds' that are carefully applied by hand and galvanized for long-lasting shine. 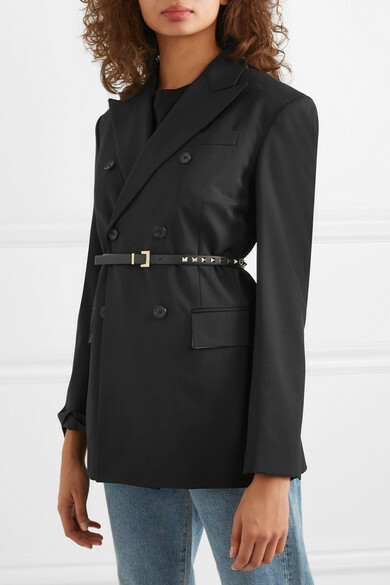 Buckle yours over floaty dresses or oversized blazers to create definition. Shown here with: Goldsign Jeans, Ninety Percent T-shirt, Orseund Iris Corset, CALVIN KLEIN 205W39NYC Blazer.